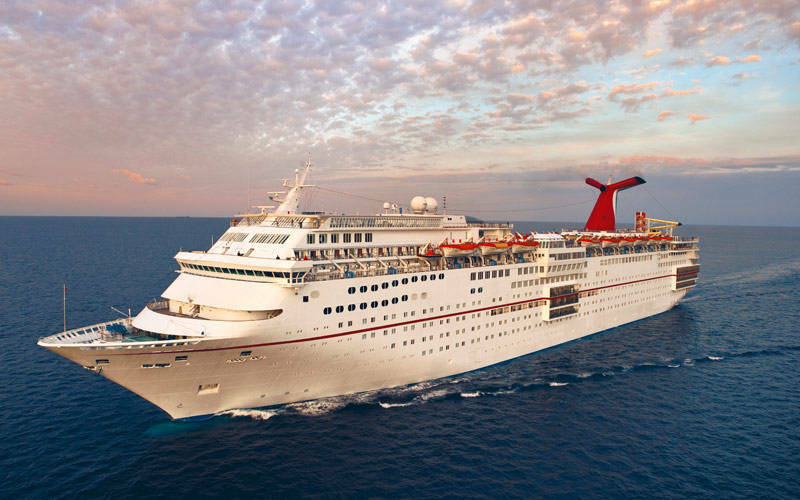 Last year around the same time in March, my boyfriend and I decided to take a cruise out of Miami, Florida and head to the western Caribbean on Carnival Cruise Lines. My boyfriend loves cruises so much that he convinced me to go again this year. 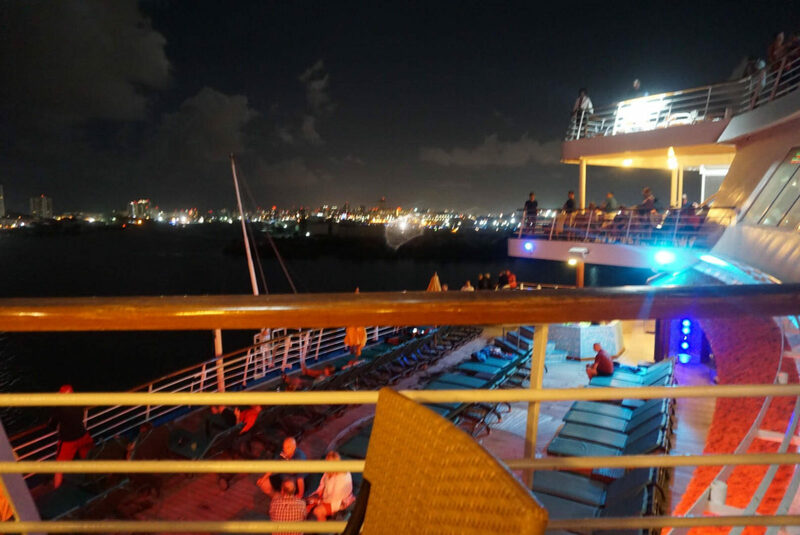 This time, however, we cruised to the southern and eastern Caribbean islands. 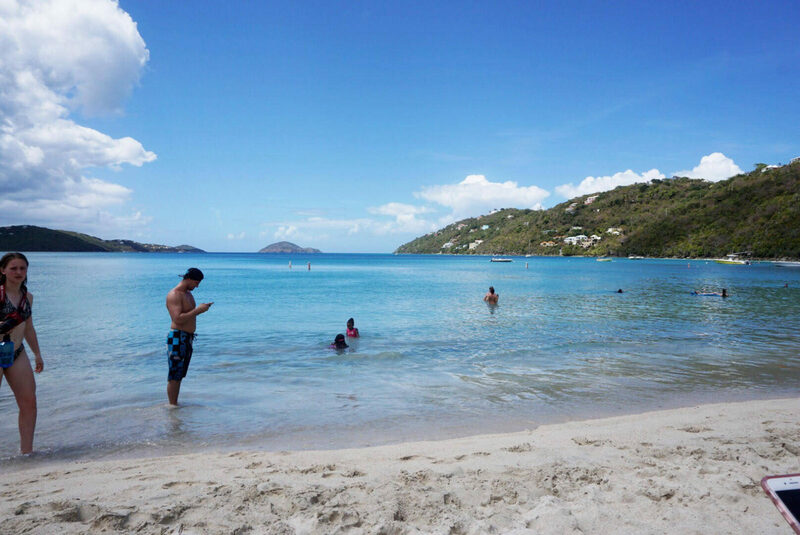 Our cruise left out of San Juan, Puerto Rico and sailed to the islands of St. Thomas, Saint. 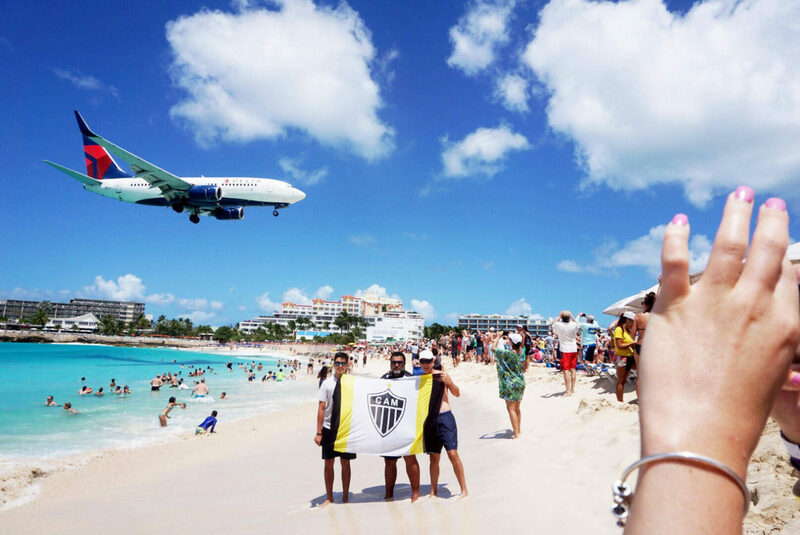 Lucia, Barbados, St. Kitts and St. Maarten. 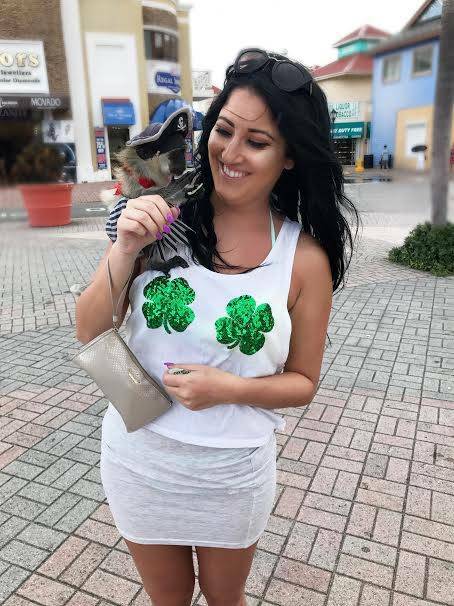 I traveled with my boyfriend and my best friend Trisha this time and we had an amazing experience at all of the beautiful islands. 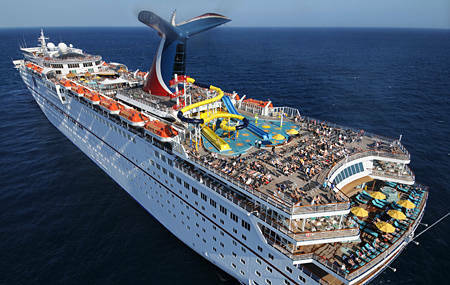 Also, just like last time sailing on Carnival, they had the friendliest staff and made our time very enjoyable. It was definitely a week to remember and we got lucky with gorgeous, sunny weather almost the entire time. Our ship was the Carnival Fascination and this was one of the only complaints we had about our trip. This is one of Carnivals oldest boats and let me tell you, you can definitely tell. Due to the boat being so old it didn’t have as many amenities as a lot of the other boats. Also, one of the worst things about the boat was that due to it being so old, the boat lacked stabilizers to balance out the boat. This means you are at a higher risk for sea sickness, since the boat is constantly rocking. Unfortunately, my friend Trisha and I did get sea sick. Luckily, the boat offered some pills that actually worked and made us feel much better. Aside from the boat, there’s not much to complain about when you’re taking in warm sunshine, crystal blue skies and clear water each day. 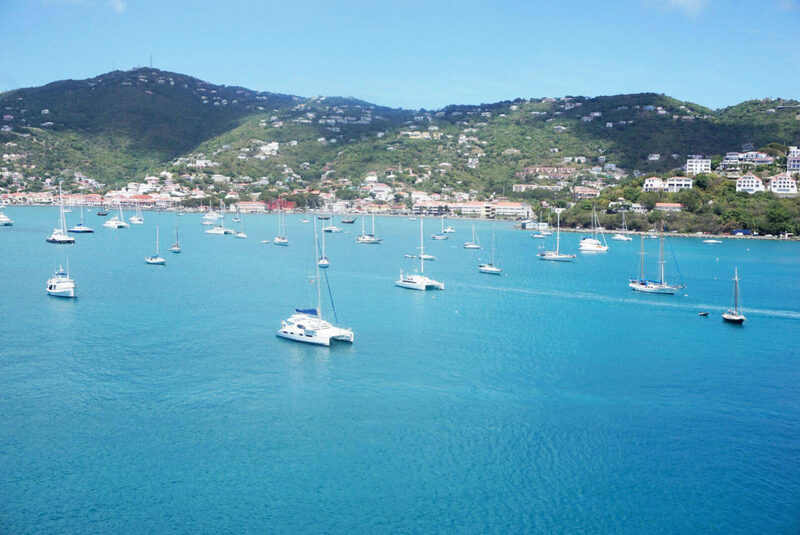 Known for its beaches and spectacular snorkeling spots, St. Thomas is a gorgeous territory of the United States. Once we got there we already made up our mind that for our excursion that day we wanted to head over to the ever so popular Magens Bay. Tip: I recommend not purchasing excursion packages through the cruise line. It is always more expensive and sells out quickly. Instead, once you visit the island and get off the ship there will be plenty of locals working and will quickly and easily take you to where you want to go. This is much cheaper. Once we got to Magens Bay, we immediately saw the typical scenery you see on HGTV and the Travel Channel (if you watch any of those.) By this I mean the crazy amount of sailboats in the bay, clear water and rolling hills surrounding the beaches, with beautiful homes tucked away within them. It was beautiful. For our first day we decided it would be a good time to just relax at the beach and take everything in. We laid down our towels in the sand, pulled out our bluetooth speaker and soaked up the sun. After being in Michigan and having such a lack of sun, I can’t express to you how good it felt when the sun kissed my skin. 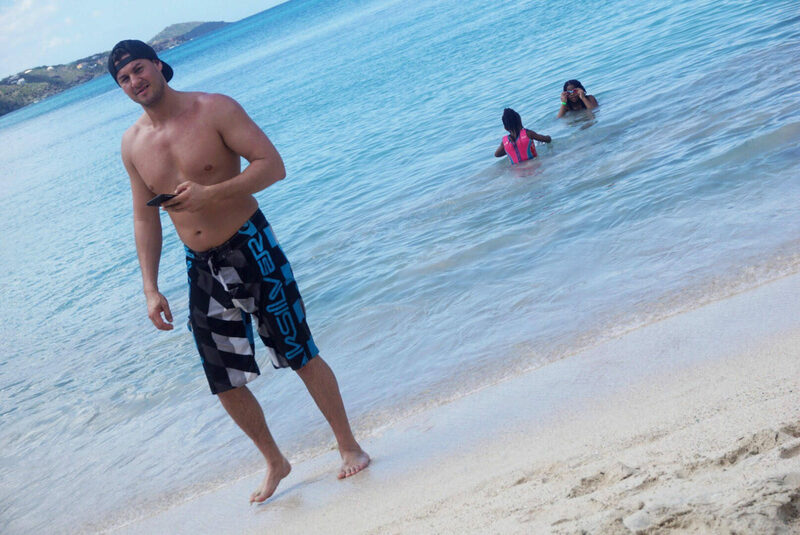 I’m very surprised I didn’t burn in St. Thomas, since I was so pale coming into the trip haha. After enjoying cocktails and Coronas in the ocean and getting a base tan ,we headed back to the ship on a no-window bus and looped around at high speed up the hilly island. It was a great first day. Of course these days are always the worst days on the ship because well, you’re trapped on the boat with thousands of people and would obviously rather be exploring an island. Fortunately for us, however, this particular cruise only had one sea day, which is really rare when it comes to cruising. On this day we slept in and recovered from the long day we had before, hung out by the pool and explored the ship. 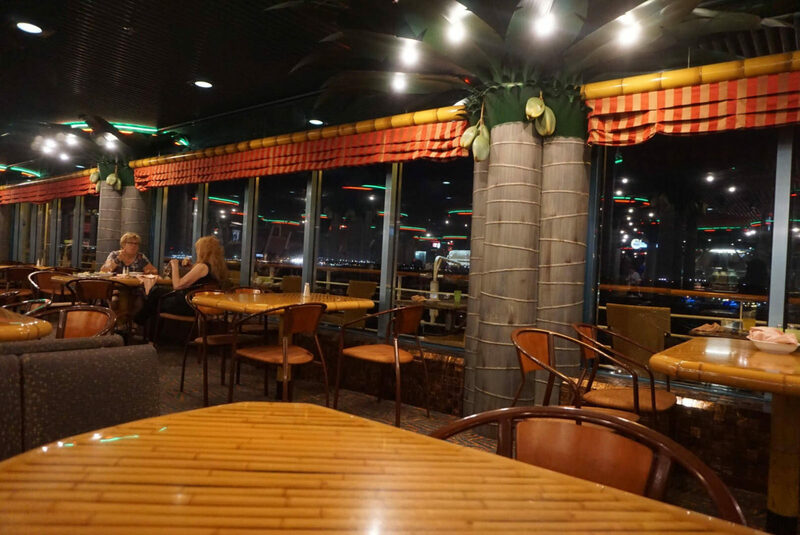 In my opinion, the ship had some great snack foods during the day such as hot dogs, hamburgers, fries, chicken strips and salad. This was great for when you just wanted a quick bite while laying out by the pool. 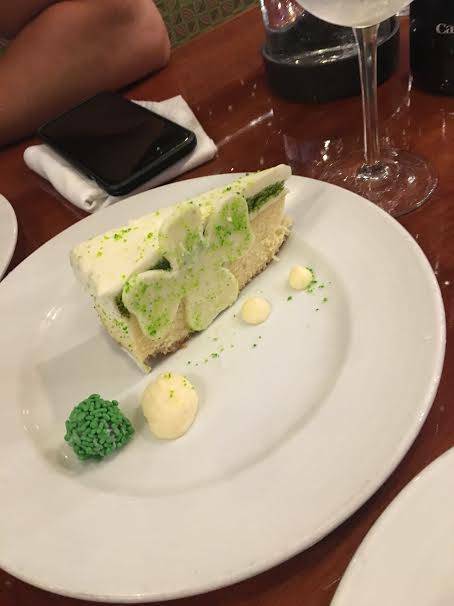 The ship also had some great menu items for dinner each night. 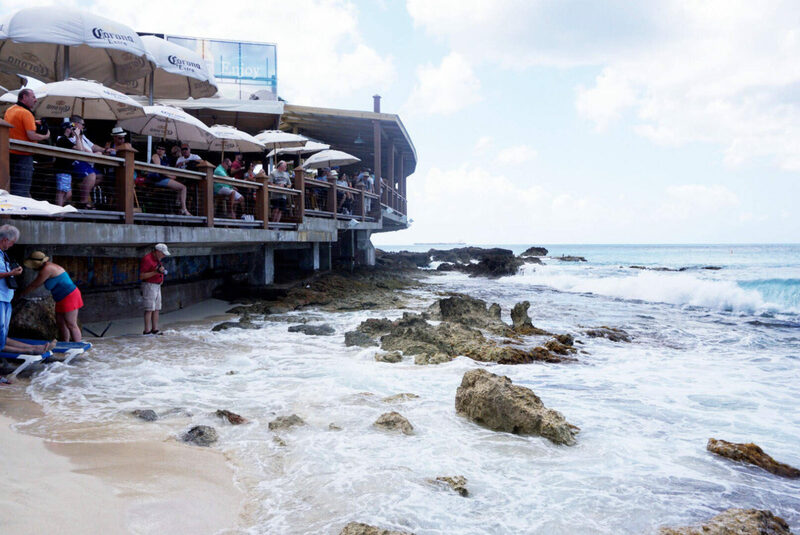 What I really liked about the menu is that each night there would be a special section of food and drinks that go hand-in-hand with the island you visited that day. Since I love trying new things, I thought this was a great way to be able to explore local dishes from the islands. After dinner we went to bed and rested up for the next day, which I may add was the destination we were most excited for. 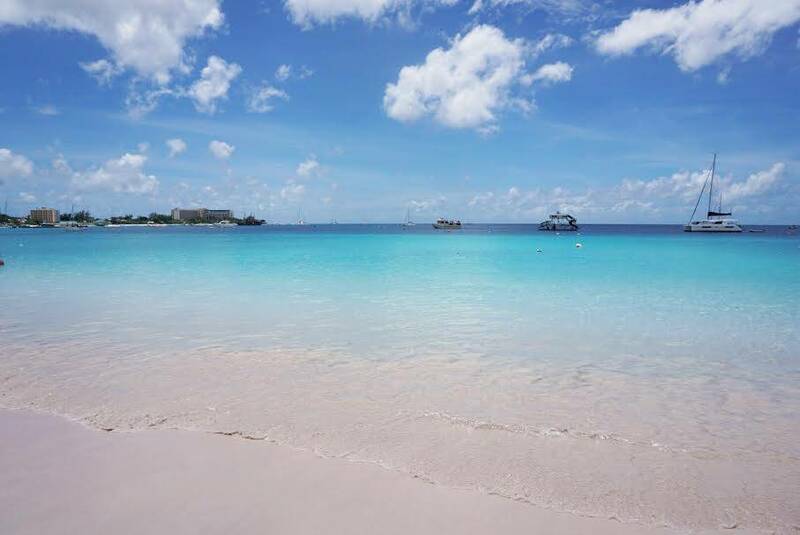 Since before even arriving in Barbados I was told by my boyfriend that this island has the most clear blue water out of all the islands he has been to (he’s been to a lot.) I have to say, he was right… for once (jk.) 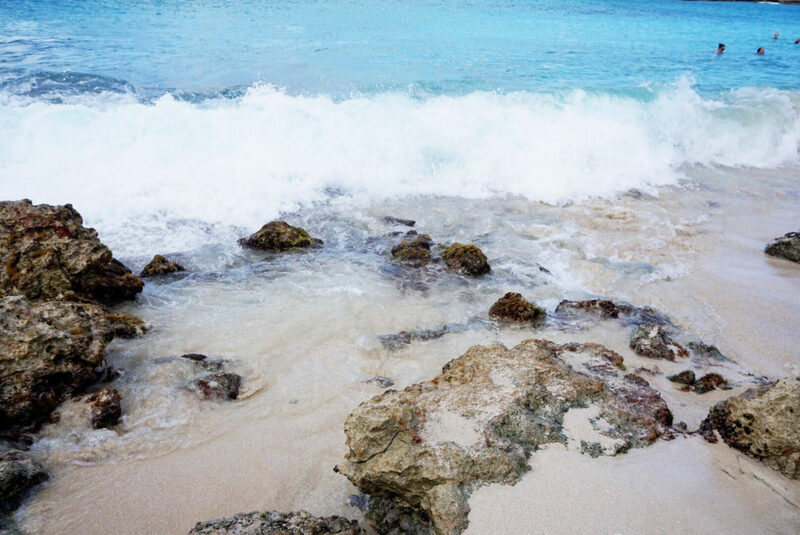 Seriously though, Barbados is absolutely beautiful. The island is a coral island with white sand beaches that stretch far and wide. 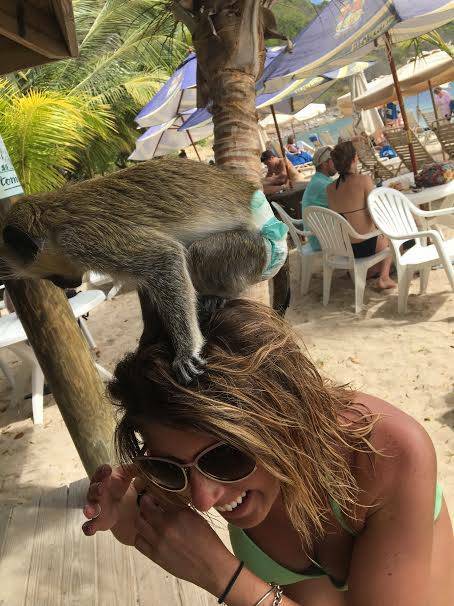 It is known for having some of the most friendly locals you will find on an island. They truly make you feel welcome and at home when visiting. 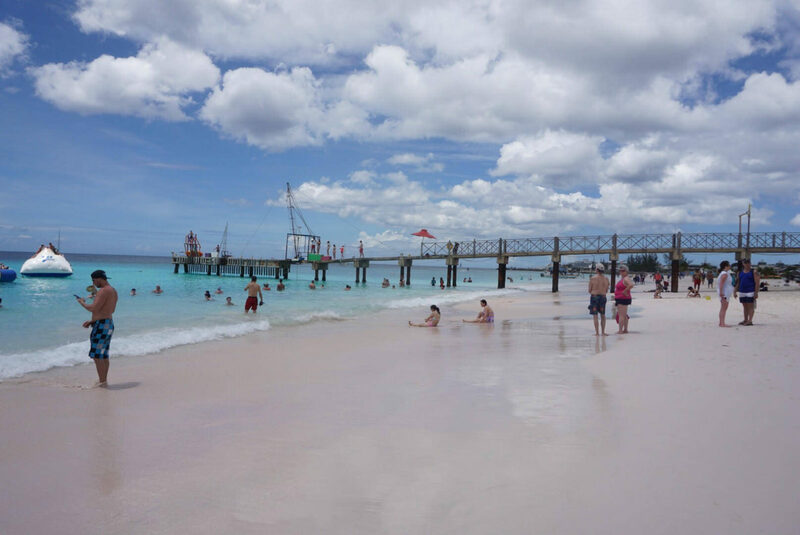 During our time in Barbados we decided to visit the boatyard located right outside of Bridgetown. 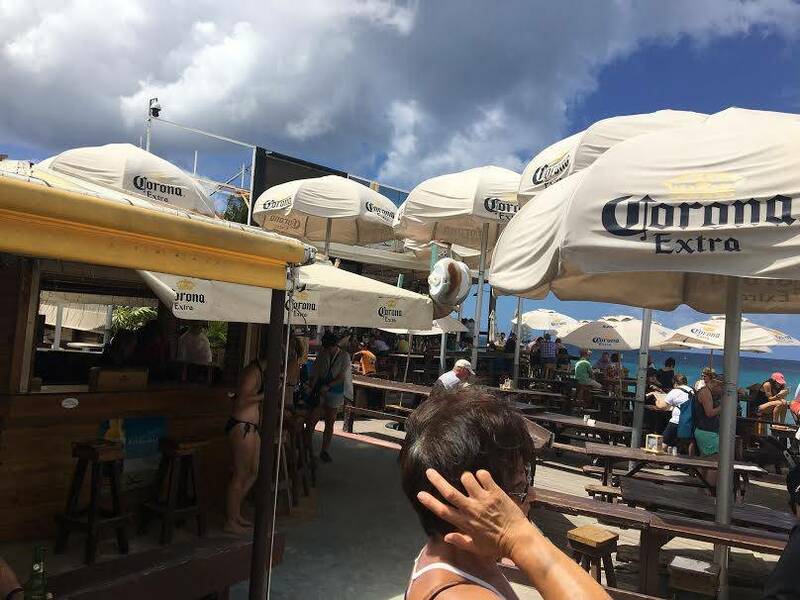 The boatyard is an excellent spot to go when visiting the island because it has a little bit of everything from rope swinging, high diving, a beautiful beach, bar and restaurant, to even allowing you to take a short boat trip to swim with sea turtles. It is an awesome experience. 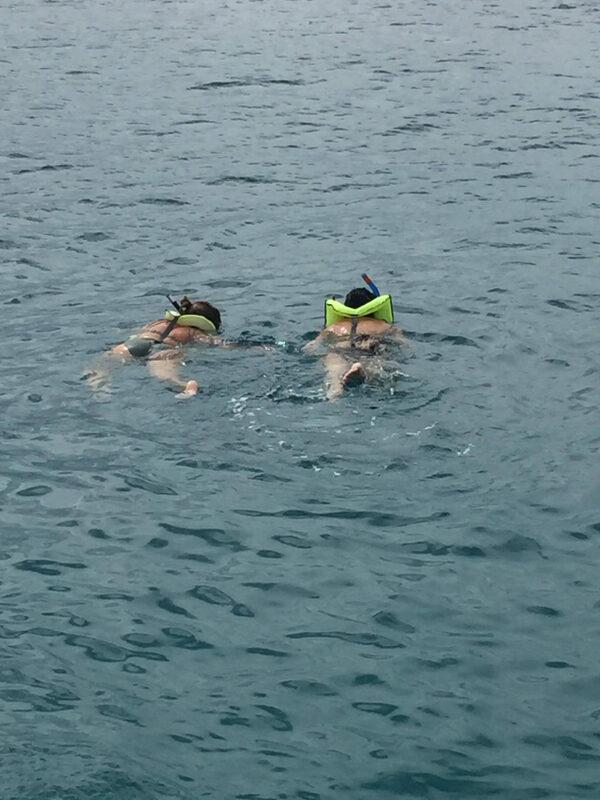 Did I mention swimming with the sea turtles is free with entrance? 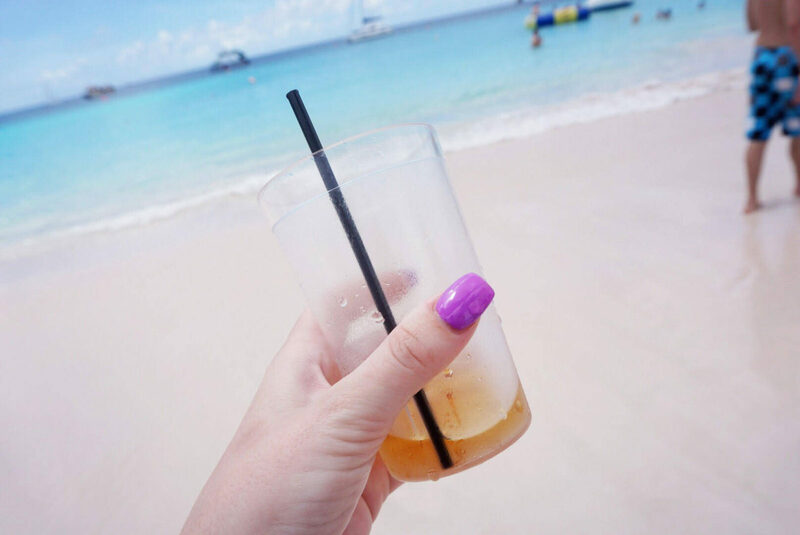 Our day in Barbados was one of the most fun and we pretty much utilized all of the things the boatyard had to offer. 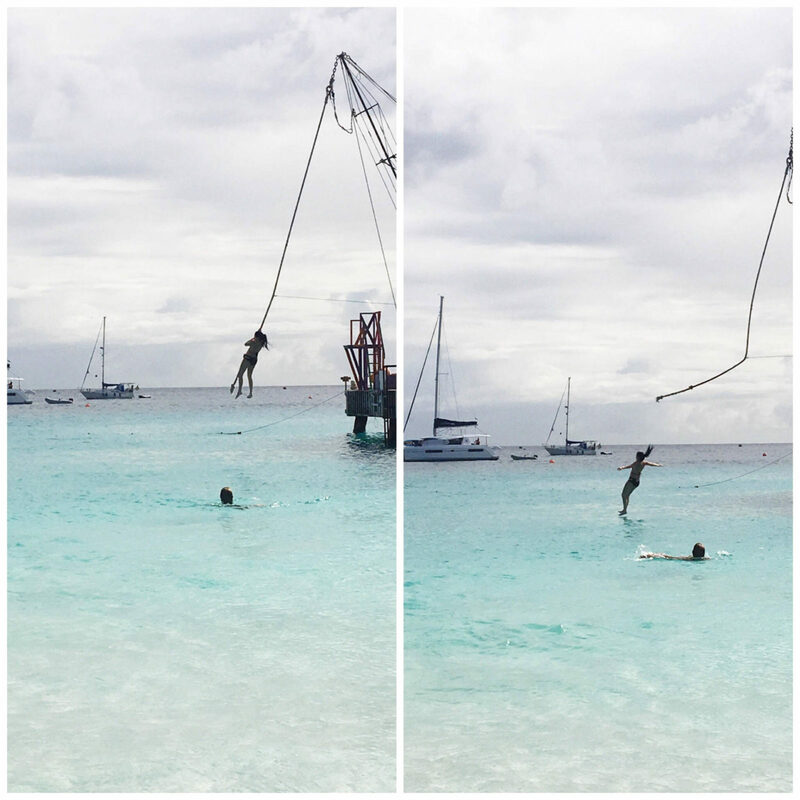 Rope swinging and snorkeling with the sea turtles is a must. It was such a cool experience and I would definitely recommend it for those who visit the boatyard. Tip: make sure if you’re planning on swimming with the sea turtles to sign up when you first arrive. 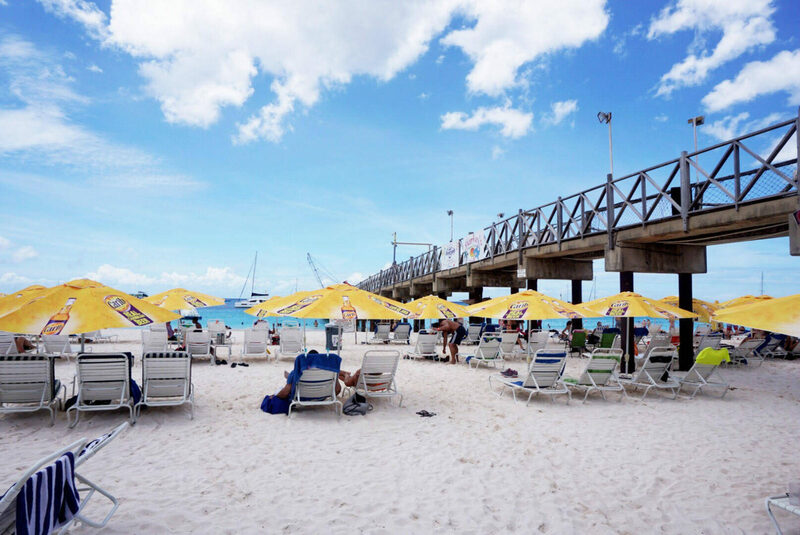 There is usually a long wait so you can enjoy your time on the beach and do other activities while you wait for them to call your name over the speaker. This way, you won’t miss out on the experience before it’s time to head back to the ship. Click here for the swimsuit I’m wearing in the photos above. The island of Saint Lucia is a very volcanic island and is more mountainous than any of the other Caribbean islands. As soon as you exit the ship you immediately notice how steep the island is. This causes a lot of wind and rainfall. Saint Lucia has one of the worlds only walk-in volcanos as well as another popular landmark, the pitons, which are two twin mountainous landmarks made from volcanic materials. 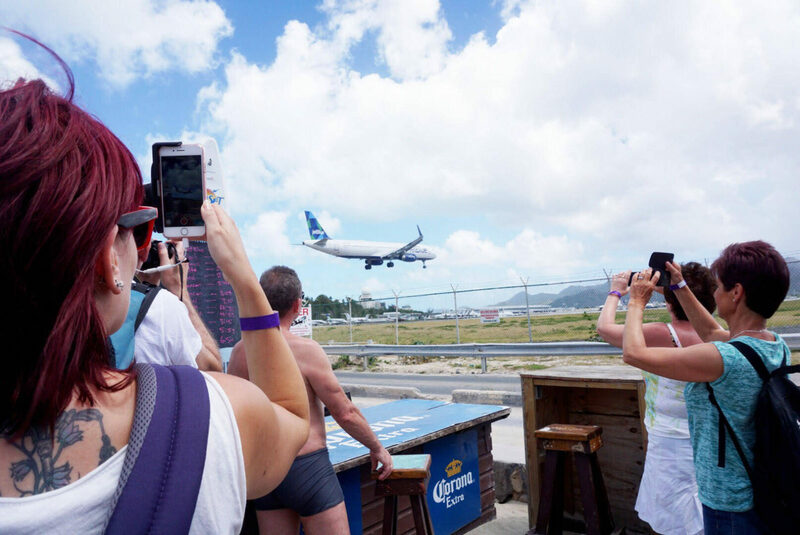 People travel from all over the world to view these particular landmarks. Of course, these sights are offered as an excursion on the cruise. Unfortunately, we did not do this because it was very far from the port and very long. My boyfriend had done it before and warned my friend Trisha and I about the winding roads you travel on to get there. As I’ve said, we had both already been mildly seasick from the boat, so we did not want to take the chance of any more motion sickness. Instead, we decided to do a short tour of the island and visit one of the beaches. 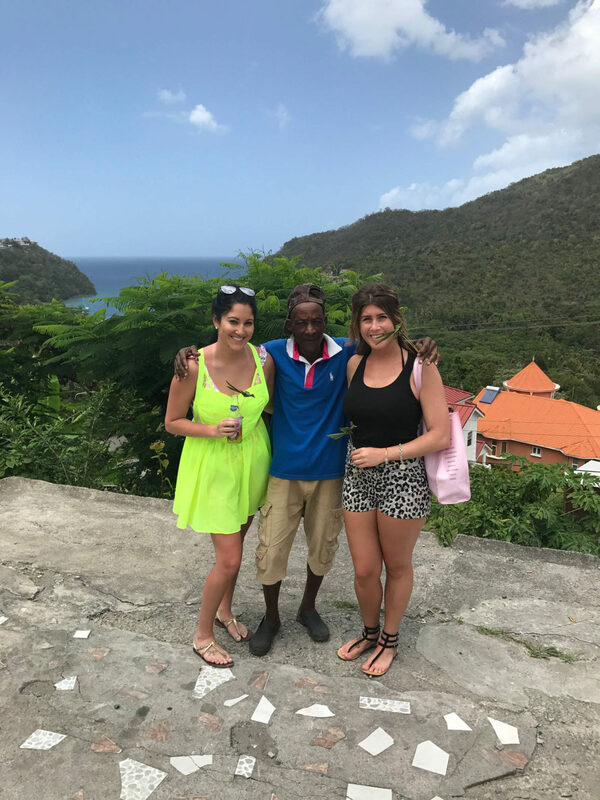 During this tour we got to learn the history of the island by an amazing local tour guide (I wish I remembered her name because she was so sweet and kind.) She really made us feel comfortable on the tour. 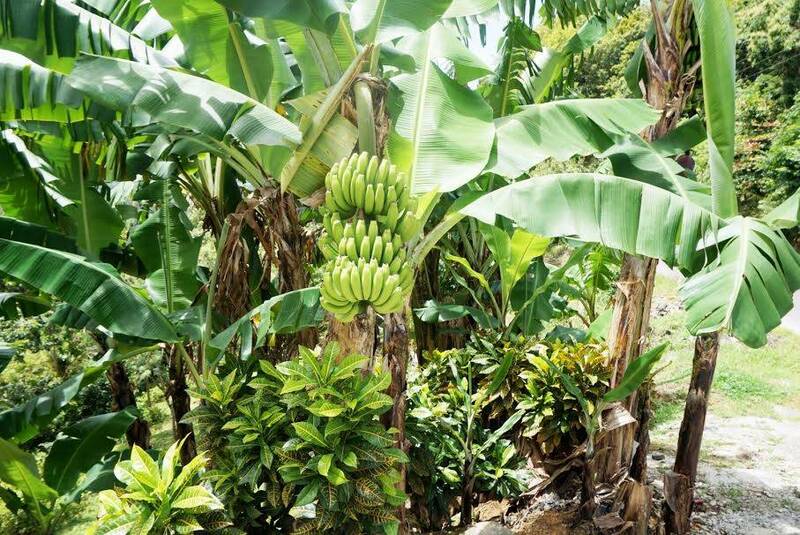 We also got to try many different banana products which is a huge exporting market on the island. Click here to shop the one-piece swimsuit I’m wearing above. Of course we enjoyed all of the islands, as they are all stunning. 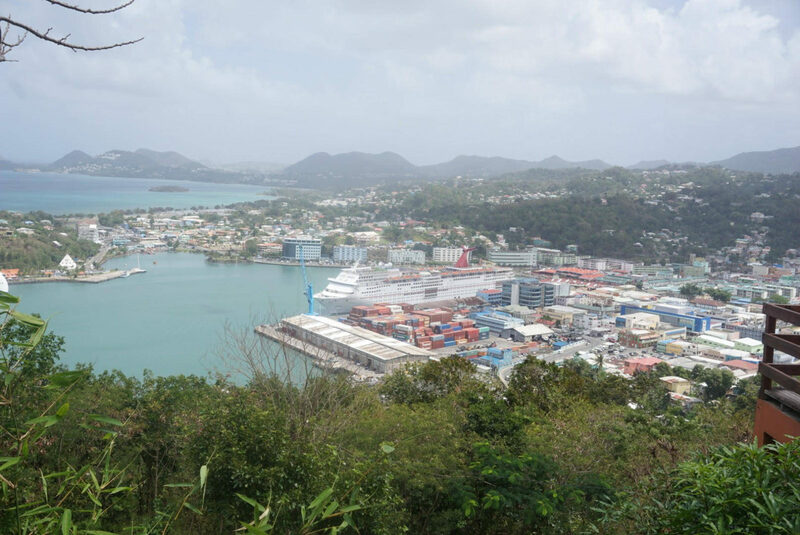 However, Saint Lucia was probably our least favorite location. The weather was pretty gloomy and rainy this day and the locals said it is like that a lot due to the mountainous terrain as I’ve mentioned above. Also, many of the locals are very, VERY pushy and it became annoying. I know they make majority of their money from tourism, but there comes a point when you start getting very bothered. It was almost like they forced you into buying things. The man in the above pictures forced birds crafted out of palm leaves into our hands and then continuously begged for money. He even had the nerve to take my camera out of my hands and ask for photos, which I thought was rude. 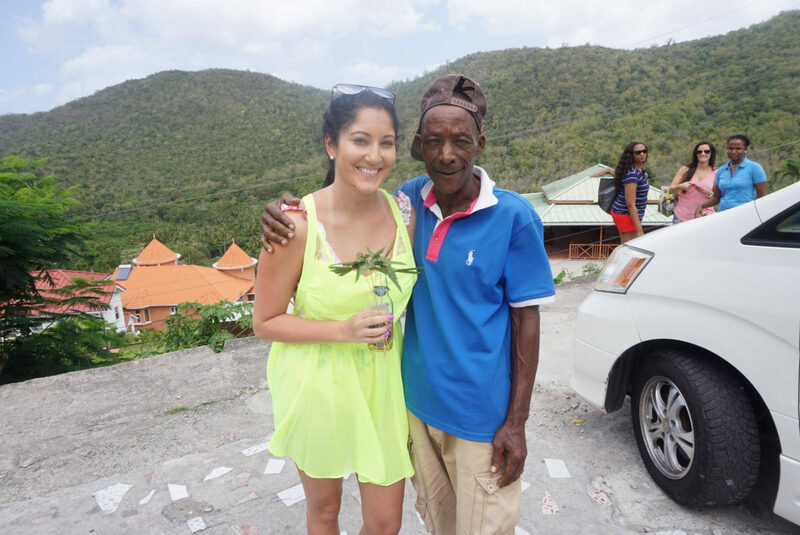 Trust me, I have been to my fair share of places and I know that almost all islands and third-world countries have these types of locals, but Saint Lucia stood out to me as one of the worst. Just something to think about if you plan on visiting this island on your own and not on a cruise ship. It is a very poor island and it also didn’t seem like there was much to do compared to our other stops. The island of St. Kitts borders both the Caribbean Sea and the Atlantic Ocean. It’s known for its rainforest landscape and beautiful beaches and scenery. I have one word for this island. Mesmerizing. 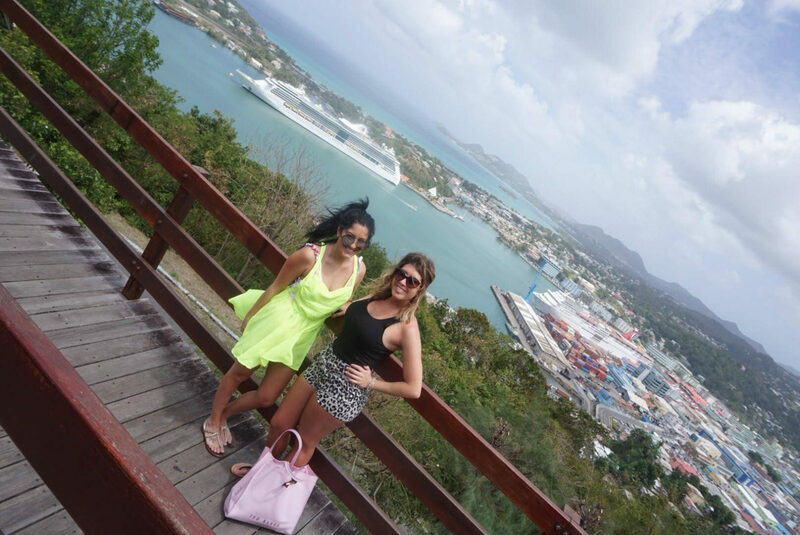 St. Kitts is like something out of a magazine, everywhere you look it is the most gorgeous scenery. I always hear of St. Kitts on HGTV ( I’m an avid HGTV watcher,) so I was super excited to visit here. 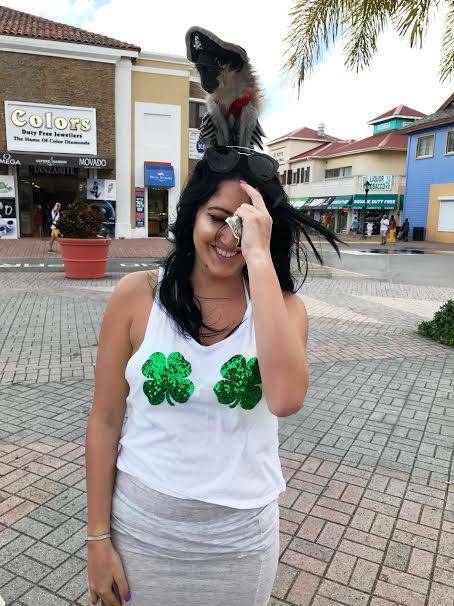 We visited this island on St. Patrick’s Day and since it is so americanized, they were selling green beer and decorated for the holiday, which I thought was really cool. When we first got off of the boat we originally had our mind set on going zip-lining, however, the first group had already left to go, and by the time we waited for the next group our day would have been gone and it would be time to head back to the ship. Instead, we decided to visit Cockleshell Bay , located on the far southern tip of the island. Since this was a bit of a hike, we took an open-window taxi (kind of like an oversized golf cart) to the beach. This was a great decision on our part because I think Trisha and I had the most fun at this location. My boyfriend found some American men and made friends with them. They had moved here from the U.S and were now working on the beach just as a lot of American’s do. He talked to them the entire time haha, so me and Trisha did our own thing. We partied on the beach and went jet-skiing, which was a blast. Tip: Just like with the sea turtle excursion, make sure you sign up for this when you first get to the beach, since there’s a wait time. We did the 15 minutes for 30 dollars and I think this was the perfect amount of time. 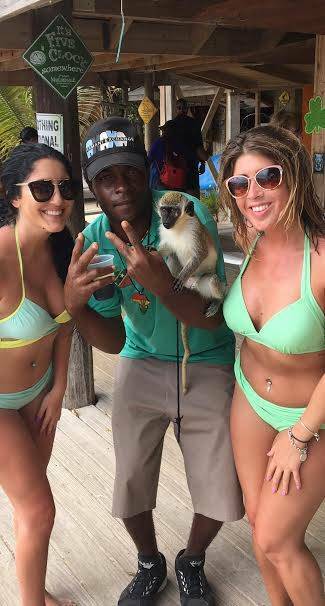 Aside from this, our day consisted of monkey’s 🙂 St. Kitts is known for their large population of vervet monkey’s . As soon as you get off of the ship you will notice tons of these animals dressed up in cute little outfits on the locals shoulders. You may take a picture with them for a small fee, which of course we spent a ridiculous amount of money on. 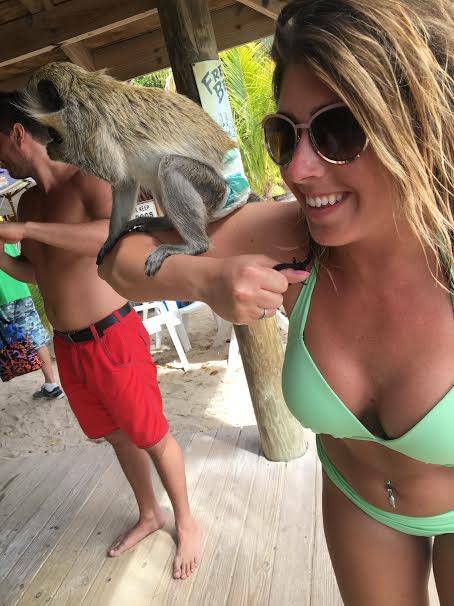 The highlight of the day had to of been when we got to Cockleshell Bay and were standing by the bar, one of the locals with a monkey gave the little girl monkey to us and said “watch her for a bit I’m going to the bar.” First of all, I can’t believe this man just trusted two spring breakers with his monkey, not to mention he was gone for a decent amount of time. The monkey’s name was Suzanna and she was the cutest thing ever. She loved Guiness and Margarita’s and we were told to give her that to keep her busy. She was wild and hard to control, she even bit us when denying her more alcohol haha. We did get some pretty funny pictures though and it was a great experience. We had an awesome day here. 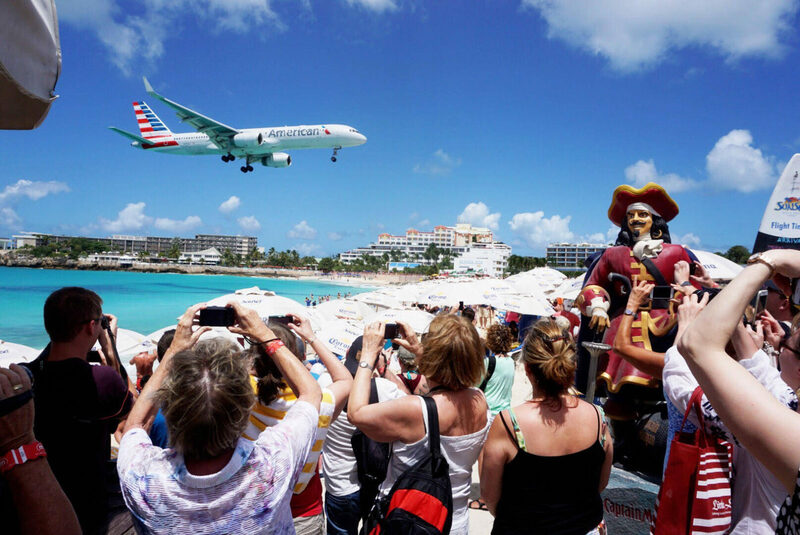 The island of St. Maarten is divided up between both a French side and Dutch side. If you’re traveling by cruise ship you will be entering on the Dutch side. Filled with colorful colonial-style buildings and shops the port and island itself are known for amazing scenery and state-of-the-art shopping. As sad as we were that this was our last stop after an unforgettable week, we were really excited to visit the airport beach and Orient Bay. 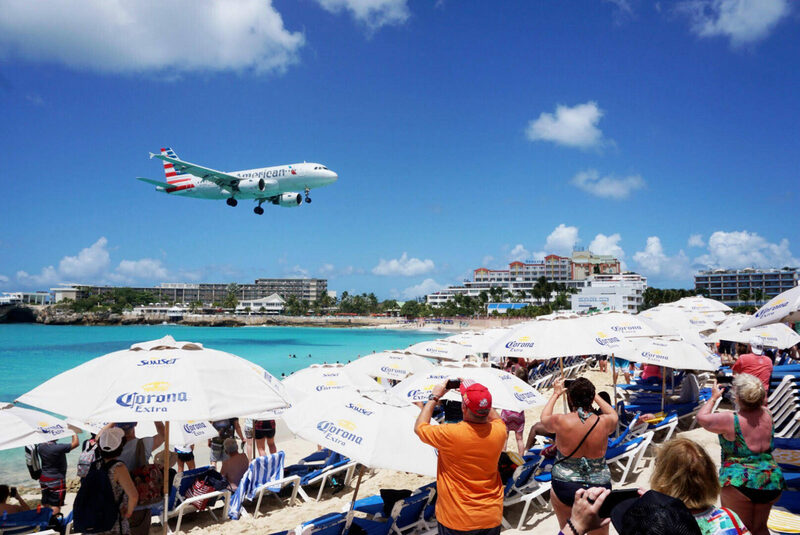 Our first stop was Maho Beach, also known as the airport beach. 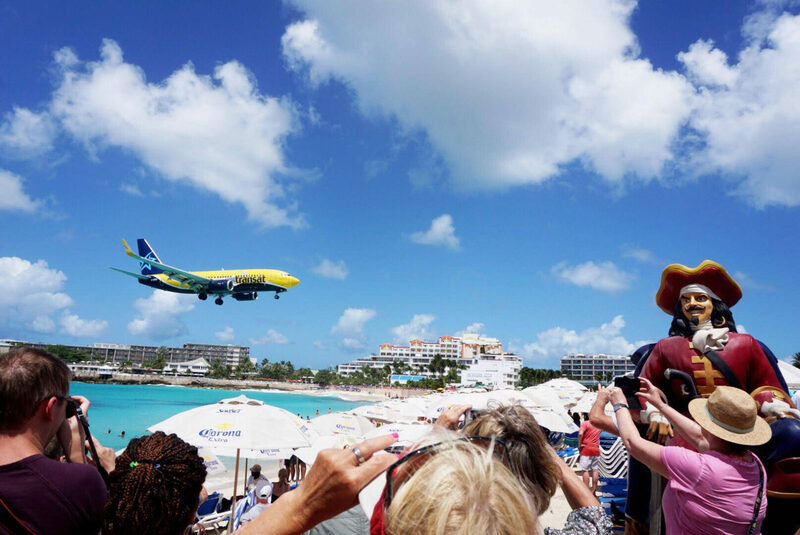 I’m sure many of you have seen images of the famous beach where the airplanes come in directly over beach-goers on the island. Well, this is it and it was truly a site to see. There was also had a restaurant and bar. The only downfall was there wasn’t much of a beach. It was smaller compared to the rest of them that we have been to over the course of the week. It didn’t really matter to us though because we weren’t exactly there to layout, just for the airplane experience. 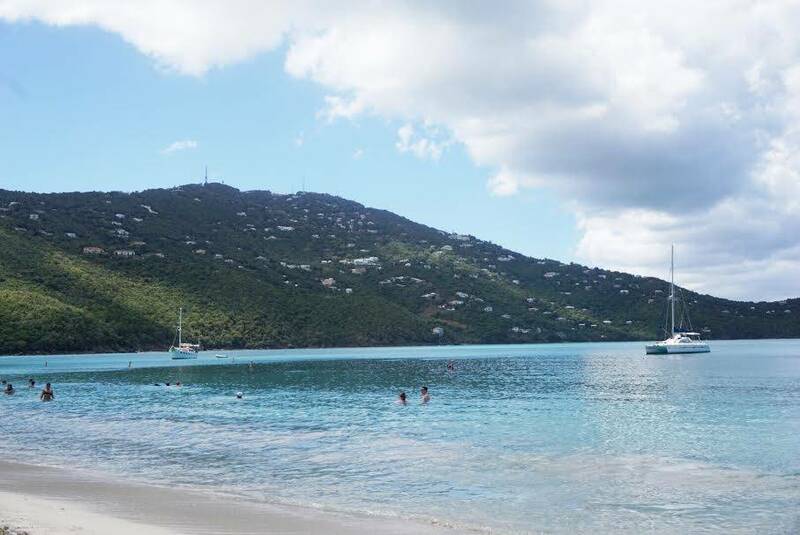 Next, we visited Orient Bay, another popular location not too far from the cruise port. 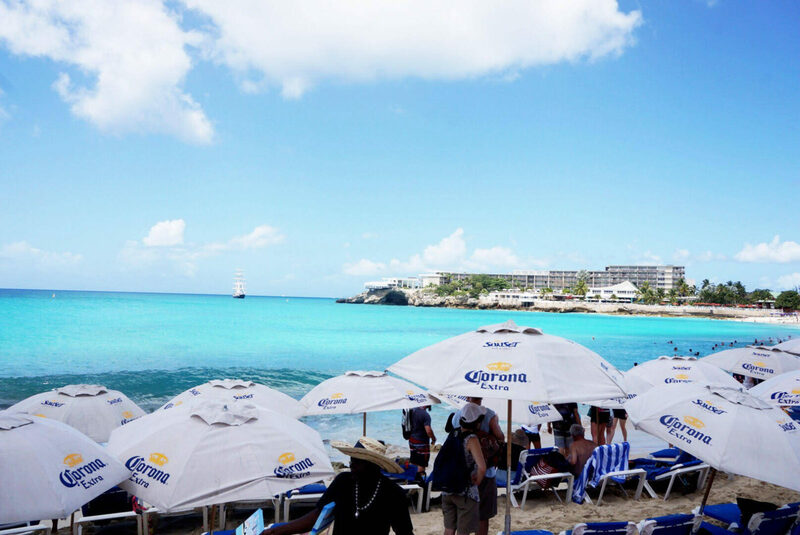 Large waves, a long wide beach and plenty of bars and restaurants is what makes up this gorgeous beach. We had a great time laying out and enjoyed some delicious appetizers with a friendly wait staff. It was a good and relaxing last day! 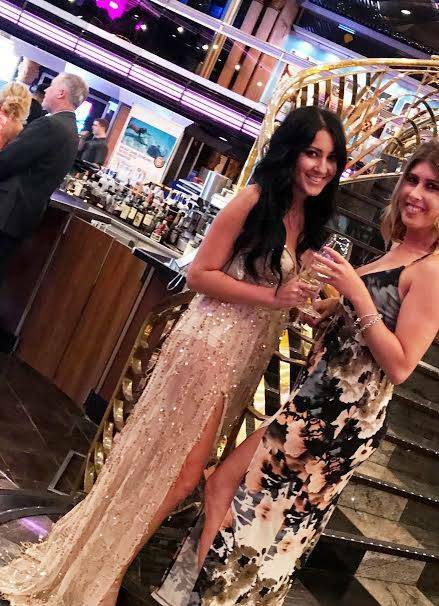 We had such an amazing time on our cruise and aside from the boat, everything was great. 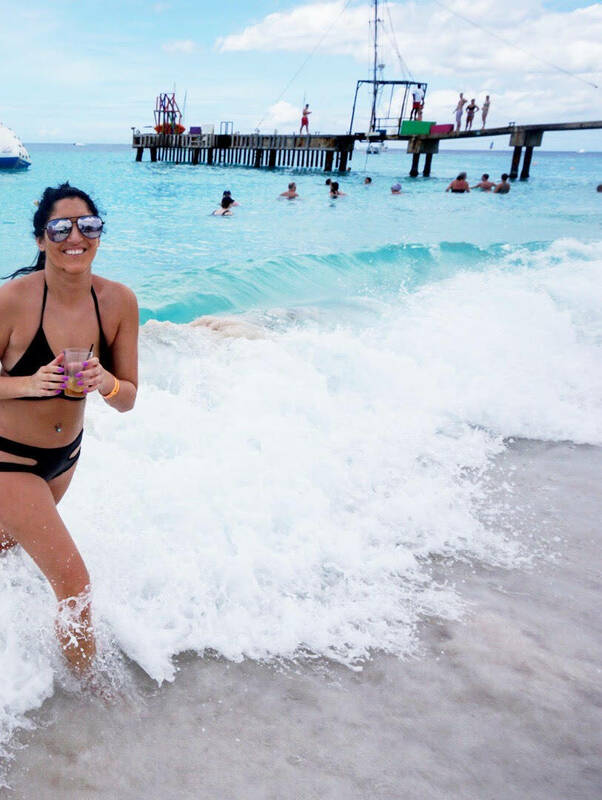 I would definitely recommend doing a southern Caribbean cruise and visiting these particular islands because I think you get to experience the best locations for the money. I find that Carnival has the most friendly staff and decent food. However, be sure to check the ship that you will be sailing on because if it’s the fascination, beware. 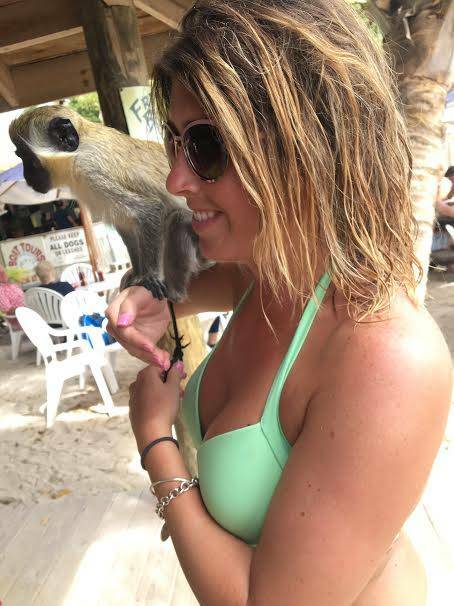 Cruises are great to explore many different islands in a short amount of time, especially for people like my friend Trisha who haven’t gotten to travel as much. I think it was good for her to see as many places as possible. 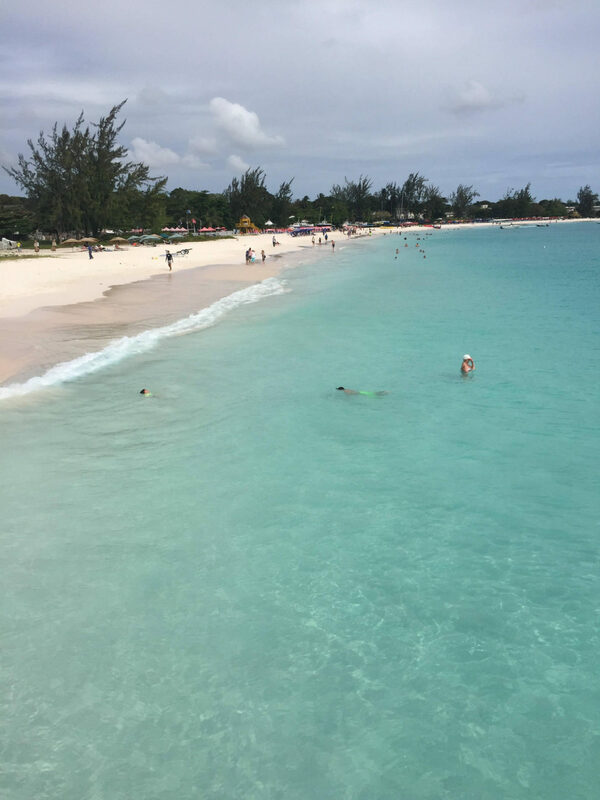 The islands were all beautiful and we had a great time cruising the southern and eastern Caribbean! 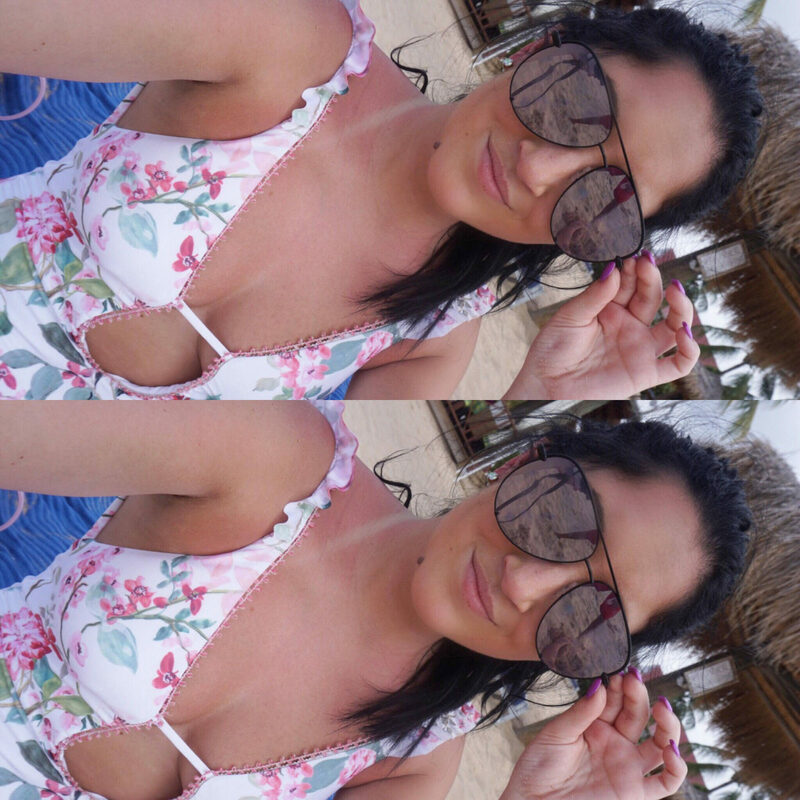 Next Post HOW TO KEEP HAPPY– Through tough times, good times and all of the time! That was excellent! Made me feel like I’ve been there! Looks like a fun time. Beautiful pictures! I am truly glad to read this blog posts which contains tons of valuable information, thanks for providing these kinds of data.